Ada pertanyaan untuk Rujia Inn? 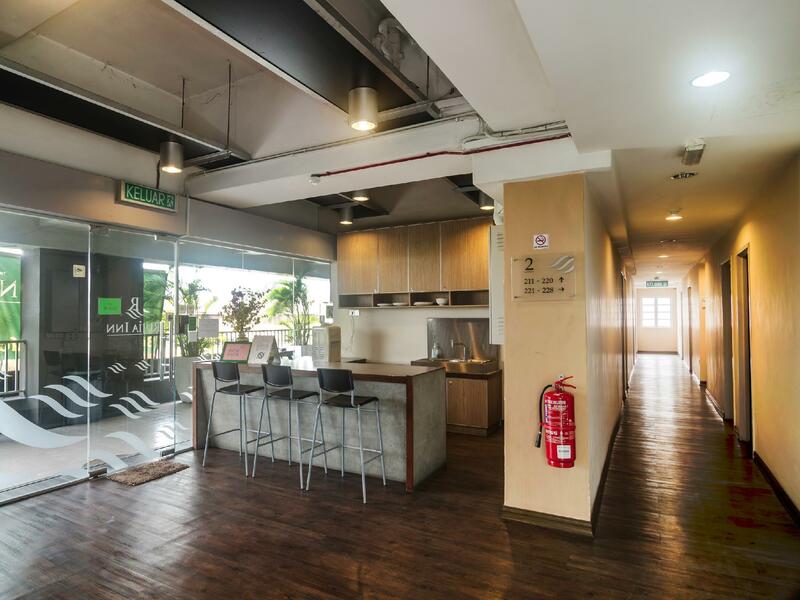 Rujia Inn, terletak di Kepong Kuala Lumpur adalah pilihan yang populer bagi para wisatawan. Hotel ini terletak 10 Km dari pusat kota dan menyediakan kemudahan akses ke fasilitas-fasilitas penting kota ini. Dengan adanya obyek wisata utama kota ini seperti My Little French House, Parkcity Medical Centre, Matrade Exhibition and Convention Centre yang sangat dekat, pengunjung akan sangat menyukai lokasi hotel ini. Gunakan kesempatan untuk menikmati pelayanan dan fasilitas yang tidak tertandingi di hotel Kuala Lumpur ini. Ketika menginap di properti yang luar biasa ini, para tamu dapat menikmati layanan kamar 24 jam, WiFi gratis di semua kamar, resepsionis 24 jam, Wi-fi di tempat umum, tempat parkir mobil. Semua akomodasi tamu dilengkapi dengan fasilitas yang telah dirancang dengan baik demi menjaga kenyamanan. Disamping itu, hotel memiliki berbagai pilihan fasilitas rekreasi yang menjamin Anda melakukan bermacam hal selama menginap. Fasilitas super dan lokasi yang istimewa menjadikan Rujia Inn tempat yang sempurna untuk menikmati penginapan Anda selama di Kuala Lumpur. The staff at the counter is extremely rude and unfriendly. When they say the there is parking available bear in mind that it is not the Hotel-provided parking but the parking by the building which charges you at at extremely high rate. There are not much food choices and wait for more than 30 minutes for a bus nearby. Besides, the staff service was very bad and lack of communication skill. For other visitors that going to stay in this hotel, remember don't take the shop lot staircase to go up to the hotel. You have to take the staircase nearby underground parking lot to get into the hotel reception. I have pressed bell at the shop lot staircase for 20 minutes but no response. The receptionist was in there the whole time but never open the glass door for me. quite suprise wif the shower room, a bit lik japanese style, consider good. there are many ways to go in and exit the hotel, is good for emergency and of course wen we in and out. the price is reasonable, and it is easy to got it. Seriously, love this hotel very much. 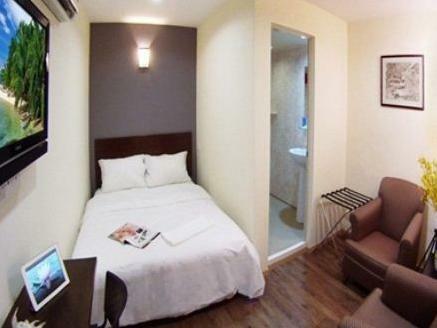 Its is highly recommended for those who r travelling to KL and looking for nice small room just for rest and rejuvinate! Rujia doesnt promise u the stars and moon, but they have whatever u need! Friendly staff and comfort bed. No other hotel can compete their room charge! Basically they have everything you need for the budget inn. What I have experienced are the tv in the room is not working. After informed the receptionist about the defect, she promised to send someone to attend to it when I went out from the inn. At night, I came back but the tv is still not working. They have clean bathroom but difficult to flush the toilet bowl as you need to keep pressing the flushing button until the whole process completed. The scariest part is some guests wrote some statements on the wall saying this room is haunted in 2 or 3 types of language. Although the room looks clean but saw a lot spider web along the corridor. The wifi is strong and fast. Customer service can be improve. Please change your iron & ironing board more regular. Room need air freshner. air cond need service as not cold. Car park need to wait for staff come down from hotel to manually open. Well its a budget hotel anyway. Overall is good, just one thing, no lift. The hotel located at first floor, and my room is at second floor, I stayed in this hotel with my 60+ years old aunties..we have to carry two or more heavy luggage without help from hotel from ground floor. Environment is same as show in the picture, everything is fine. Just the shower water not strong enough, don't have shampoo. It doesn't offer cloth washing but a washing shop is right below the hotel. Local food is just around and people can speak English. It has a water mechine which you can fill your bottles before the next journey. A covered car park is inside the same building at a good rate. Our stay at Rujia inn was a pleasant one but we find that the price is quite high per nite for a hotel that does not provide breakfast. But there are quite a number of eateries near the hotel. Another minus point is the hotel location which was not near the train station. But overall stay was generally good. It was a short stay. The room is small, big enough for the bed. Small toilet but doesn't seem clean. Wall is thin and my room was at the corridor, noisy. It's ok if you just need a place to sleep. I would not stay here again. Quiet, Restaurant nearby, Free Parking! Just okay for the stay!! The hotel is located on the 2nd or 3rd level but without lift or escalator its really not suitable for the elderly and the families with young children, and also it is very tough when you need to take the heavy luggage upstairs. Anyway, the room are quite clean and the staff are pretty friendly. Hotel is value for money, should serve its purpose if u looking for just a simple short stay. The security is not very safe ard this area and shld not try to walk to segambut stt as there is freq cases of robbery. But staffs are very friendly and helpful. I would recommend this if u are on budget and are looking for just a place to sleep. Compare to a year ago, standard drop and cloud become complicated, feel unsafe staying there with kid. Friendly staff. But cleanliness should improve, have stain on bed sheet and pillow sheet. We stayed one night then decided to change hotel although we had paid for 2 nights. 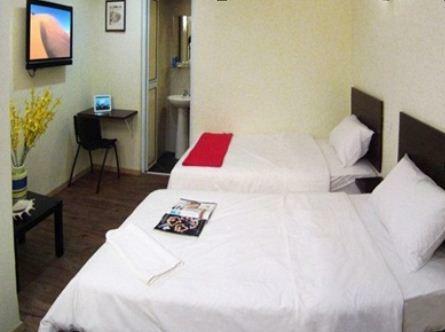 This place is a wonderful budget hotel if you are willing to travel a bit on foot. Taking the taxi to town can cost anywhere from 15 Ringgit to 45 Ringgit depending on traffic. I actually opted to walk to the nearest train station (Segambut) and take the train to KL Sentral. The view at night is amazing and they provide free water and a movie bank to keep you entertained at night. This place is not recommended for people with no Malay, Chinese or Cantonese background as you would not be able to communicate effectively with the locals.